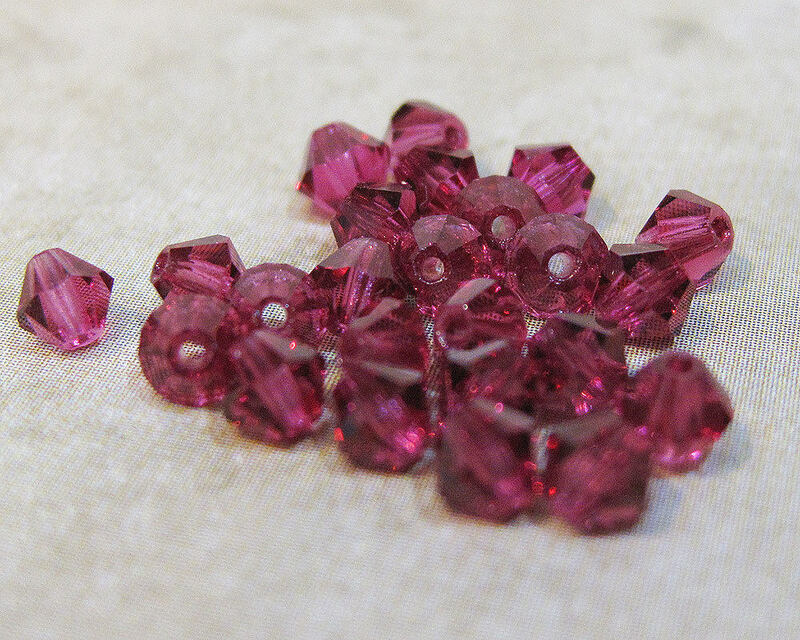 Bag of 24 Fuchsia 5328 bicone shaped Swarovski crystals measuring 4mm. Arrived in excellent condition and just perfect for my decor/craft project - these look great! Love this fuchsia color.